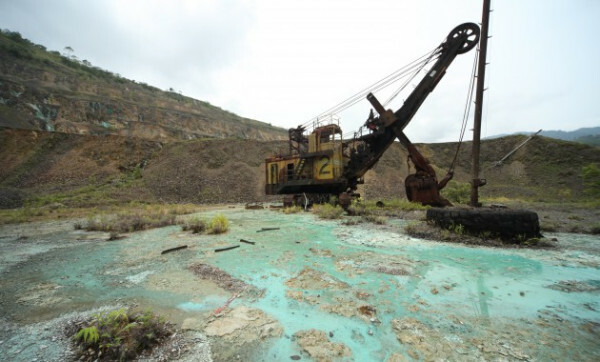 PAPUA New Guinea has lessons to learn from Fly River in Western when working on the Mine Waste Management Policy framework, according to Department of Mineral Policy and Geohazard Management. Asavi Kendua from the department says the mine waste management plan should indicate mine waste avoidance, reduction and mitigation strategies. In his presentation during a seminar on capacity development in mine waste management in PNG, Kendua said treatment of mine waste, including mine waste water, had to be done in accordance with the Environment Act 2000. He said it also had to abide by any codes of practice developed by the Conservation and Environment Protection Authority. Proper monitoring systems should take into account health and safety aspects of the environment and surrounding communities. “Riverine tailings disposal shall not be an option for mine waste disposal for new mining leases that will be granted from the date of the enactment of Revised Mining Act,” Kendua said. He said mine inspectors should ensure proper inspections were done on mine waste treatment facilities before the expiry of mining leases. “Where a mining lease or lease for mining purposes is granted, it shall be granted on the condition that the tenement holder complies with mine waste management plan,” Kendua said. “The holder of a mining lease for mining purposes shall periodically update its mine waste management plan.